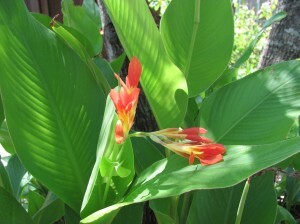 by JoAnn Crane I am in a lush green garden, with the sound of a gentle breeze blowing through the leaves of the trees. The air is sweet smelling and the sun is warm on my skin. It is the most beautiful place imaginable, and I am not alone. Beside me is the most perfect man, and he is looking at me as if I am more beautiful than all that which is around us. Oh yes, if I can imagine what it was like at that first moment… the moment Eve became aware of her surroundings and her eyes first met the eye’s of Adam. Two perfectly beautiful creatures placed in an unspeakably beautiful garden. I do not think it is possible for us even to come close to imagining just how wonderful life was for Adam and Eve before sin entered into the picture; before Eve took her focus off God and placed it on herself. As a Christian woman desiring to follow the path God has planned, it is often difficult to stay “God-centered” and not self-centered. Each day the world bombards us with it’s own version how we should dress and how we should look. I am 56 years old now and I am blessed with dry skin, tight clothes, out of control hair and spots that appear on my body out of no where! Oh why couldn’t Eve stay focused? My body would be perfect right now. Today we live a world that proclaims “what you see on the outside is more important than what is on the inside.” Extreme makeover shows have gained in popularity and every other television commercial is for some kind of cosmetic surgery or miracle pill. It seems that women desire to be “pulled in” in one place and “filled out” in another. Lips are inflated and tummies deflated. Models with perfect smiles and flawless bodies sell everything from burgers to cars. Since the day Eve ran to cover herself, women have been running to the stores to cover themselves with the nicest clothing that money can buy. No, none of us are born perfect, but we all can be born again with a beauty that emerges from within. As this world judges us from what they see on the outside, God clearly sees the genuine beauty that lies within. Being created in all shapes and sizes, we carry our own personal package of flaws, shortcomings, and imperfections. Jesus wants quiet time alone with us as we meditate on His Word. His desire is to have us “draw close to Him.” He does not care if our hair is a mess, our clothing is older than our children, the floors are not mopped, and the laundry room is overflowing with clothes. He does not see the mess. Regardless of our outward appearance, talents or intelligence, Jesus sees the heart inside of us and He is waiting to perform His extreme spiritual makeover within us. I have been writing for myself and journaling for over 5 years. Since I began working on a book called My Sister, We Travel Together my life has been thrown into a whirlwind: my own female health issues, my husband and I were both injured in a head-on accident, my closest sister in Christ was diagnosed with ovarian cancer & passed away, and then only two months after her passing I myself faced surgery for an ovarian mass. Looking back, I believe and know that my Lord was molding me to become a stronger woman, one anchored securely to Him. As a sinner saved by grace, I have experienced divorce, drugs and the horror that abortion brings into our life. My heart’s true desire is to comfort another soul along the way, and tell them of the saving grace through my Lord and Savior Jesus Christ. I pray that each day, the Lord will place on my path that ”someone” He desires me to reach out to and speaks to my heart withwords especially for her! First of all as I look at your picture I think you are beautiful and I’d never believe you were 56 if you hadn’t told us. Second I agree with this whole post especially with “it is hard to stay God-centered”. In this world of temptation it is so easy to to be self centered but thank You God for your Holy Spirit to help us along the way. Oh Julie, thank you for you compliment. My birthday is Wednesday and I hit the big 57… in my mind I will always be 29, but many day’s I feel like 99! Amen & Amen dear sister. Your devotional was such a blessing to my heart!!! God bless you!! Thank you for such a beautifully-worded post. I love your statement, “I believe and know that my Lord was molding me to become a stronger woman, one anchored securely to Him.” That is the conclusion I have reached, too, when I look back on the mysteries in my life. May the Lord continue to bless your writing! I really loved this post – not only very funny, but so many good points! Loved the last paragraphs – He really does focus on our hearts! Keeping my focus on Him is the only reason why I am in the blessed place I am now! You are beautiful!!!!!! I think that you are a shining example of aging gracefully. I turn 30 on the last day on this year and I am struggling with this realization. I pray every morning to make these last days of my twenties count. Any advice for facing my age and aging gracefully? I want to mature into that graceful woman of God that I long to be, but I still feel like a lost teenager who will never grow up. Just a beautiful post….Really love the way you are writing .You explain all the things beautifully and gracefully.This is very true that today’s world more believe on outside than inner heart.They need only the outside glory.But the truth is that Jesus only see the true heart of persons.And when the person is true and beautiful from his heart then he/she will automatically beautiful from outside.He never see that hows the person looking or what is is doing.He only listen the prayers from the true heart.God is really great we just need to follow Him without asking any question to Him. Lovely words , what a good heart to bring forth such goodness to show to others. Thank you.